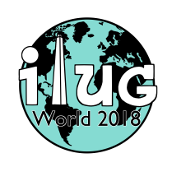 The IIUG Special Interest Groups, also known as "Discussion Forums", are open to all IIUG members. To participate via the web-based interface, simply click on the discussion forum name below. To participate via email, log in to the Member Area and click on the "Subscribe to E-Mail Lists" button. Informix Questions - A discussion forum to communicate about all aspects of the Informix Dynamic Server (IDS) Engine. If you are unclear which list to use, try here first. The admin-tools forum is for discussing the Informix database administration tools. These are primarily the Informix Server Administrator (ISA), and Server Studio from AGS. Classics is a forum to discuss all aspects of Informix classic tools including Standard Engine (SE), Online 5, 4GL, D4GL, ESQL, ISQL and others. A discussion forum dedicated to Data Studio. Datablade list is a discussion forum dedicated to the discussion of Informix DataBlades. This is for both users and developers. The Redbrick discussion forum is for the users of Informix Redbrick products. Discussion of issues relating to the use of the Informix Spatial DataBlade Module to store, manipulate, index and analyze multidimensional spatial data. A discussion forum on the use of Informix products on Linux. Sapmix is a discussion forum for the use of Informix products with the SAP product. This forum was created for German-speaking Informix users to exchange questions and information about Informix. This forum was created for Spanish-speaking Informix users to exchange questions and information about Informix. IIUG-Esp es una lista de correo electroníco dedicada al intercambío de informacíon entre los usuarios de Informix en idíoma español. This forum was created for French-speaking Informix users to exchange questions and information about Informix. Cette liste est dédiée aux échanges de questions et d'informations entre les utilisateurs francophones des produits Informix. This forum was created for Italian-speaking Informix users to exchange questions and information about Informix. This forum was created for Portuguese-speaking Informix users to exchange questions and information about Informix. A forum for discussion of Informix-related development tools and applications. A forum for discussion of Open Admin Tool.